Following in the footsteps of the New Nordic movement that made Scandi cooking a worldwide phenomenon, Turkish chefs are rediscovering their country’s traditional ingredients and reinventing them for modern tastes. Tom Shingler takes a look at the people, ingredients and dishes associated with this contemporary approach to food. Before the whole New Nordic thing, I’d have been hard put to name five authentic Scandinavian dishes. Pickled herring, reindeer steaks and meatballs in a pale gravy with lingonberry jam was the extent of mine and many others’ Nordic food knowledge. But then people like Claus Meyer and René Redzepi came along and completely changed the game. 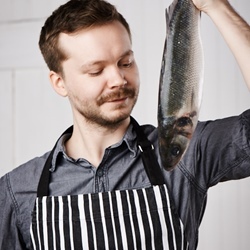 Now their restaurant Noma is one of the best in the world, and people travel from all over to visit places like Faviken and Skåne to eat the continent’s native ingredients – which can include anything from foraged herbs to frozen ants. But while New Nordic may have already done its job of reinvigorating Scandinavia’s food scene, there’s a similar resurgence happening in Turkey. While we’re a little more familiar with the flavours of this region, it’s kebabs and hummus that tend to dominate everything else. But peel back the curtain and there are thousands of regional dishes, endangered ingredients and ancient cooking techniques originating from this part of the world, where Europe so famously meets Asia. The movement is called New Anatolian, and while it focuses on Turkey (Istanbul in particular) it covers the wider region of Anatolia, which also includes parts of Syria, Greece, Armenia, Georgia, Bulgaria, Iran and Iraq. Traditionally, there were only two options when dining out in Turkey’s capital; going to rustic, homely, casual restaurants that served traditional, home-cooked Turkish dishes, or fine-dining establishments that focused on European cuisine, usually Italian or French. There wasn’t anywhere that took the flavours of Turkey and recreated them as haute cuisine. It’s because of this that New Anatolian became so popular so quickly. The increasingly ‘European’ ingredients, techniques and dishes that were becoming associated with restaurant-quality food in Istanbul was beginning to put the region’s traditional flavours at risk of disappearing altogether. This troubled one chef – Mehmet Gürs – in particular, so he decided to do something about it. – Dare to look at the traditional habits, products and techniques with a new and fresh perspective. – Make use of the great variety of products that exist in the area, reflect the microclimates and seasons in the cooking. – Preserve the traditionally natural kitchen of Anatolia while being forward thinking. Be aware of the deeply rooted cuisine and the multitude of cultural layers. – Adapt the harmonious past blend of ‘l'occident (the West) and l'orient (the East)’ to the present. – Embrace the cultural differences that make the area special and express the rich and vibrant character of the region in your cooking. – Truly embrace the saying ‘No Farmer, No Food, No Future’. Support the producers that do a good and honest job. Make use of the products that have been produced respecting the land, sea, mountains and animals. Behold the future and use the science. Strive to create traditionally great flavours while considering the contemporary diet. – Keep void of national, religious or ethnic barriers. 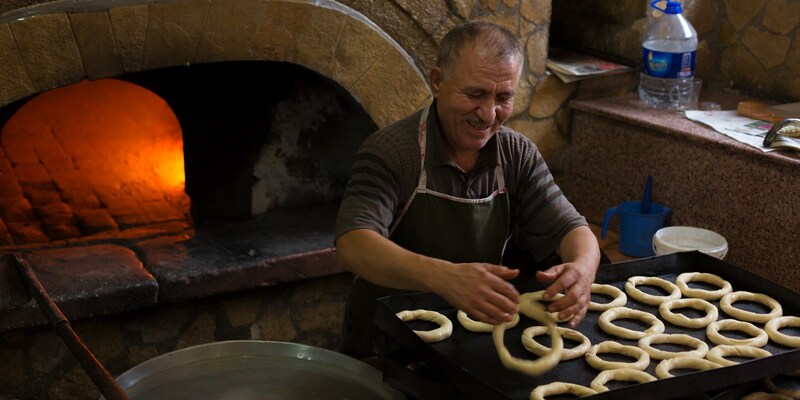 Mehmet now spends his time travelling all over Turkey, visiting communities and tucked away villages in a bid to discover hyper-local ingredients that are as culturally significant as music and art. Working with anthropologist Tangor Tan, who studied under the founder of Slow Food Carlo Petrini, the two of them bring their finds back to a food lab in Istanbul to document, experiment with and spread awareness of the area’s forgotten foods. To date they have collected over 5,000 ingredients, many of which had never before been seen outside of their respective villages. The very best go on a tasting menu at Mikla, Mehmet’s flagship New Anatolian restaurant, and other chefs have followed in his footsteps to shed light on historical, local dishes. Today, a typical New Anatolian restaurant will proudly display where it sources its produce and try to use traditional or ancient ingredients in dishes which still reflect Istanbul’s famous east-meets-west approach to food. A good example of a New Anatolian ingredient is tarhana, a combination of grain and yoghurt that is dried in the sun and then usually served as a thick soup. It is an ancient product with centuries of history, but thanks to Mehmet’s culinary movement there has been a surge of interest and Turkish chefs are finding new ways to cook and serve it. It’s certainly an exciting time for Turkey, as the recipes of the past are reimagined for a twenty-first century audience. It’s helping the small producers found in villages all over the country, giving the chefs who use the produce new inspiration, offering new flavours to diners and putting Turkey on the culinary map. Soon enough it won’t just be kebabs that come to mind when we think of Turkish cuisine; it’ll be kayseri sausages, balik ekmek and pestil.